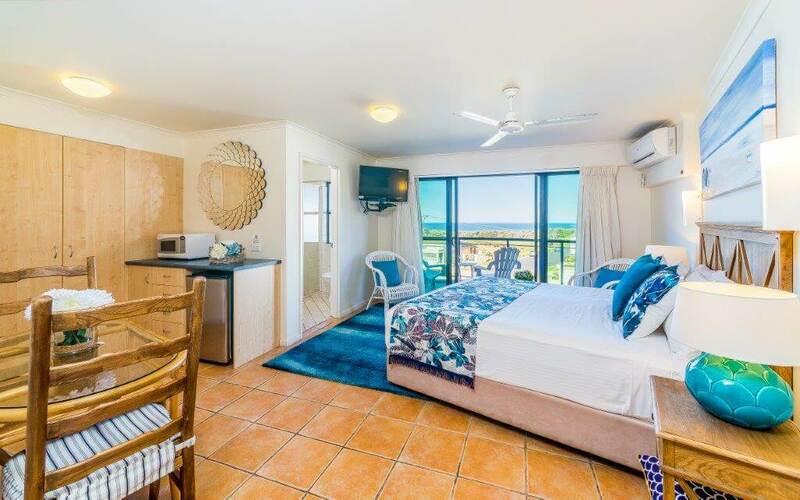 Our studio apartments are the perfect solution to Yamba holiday accommodation. 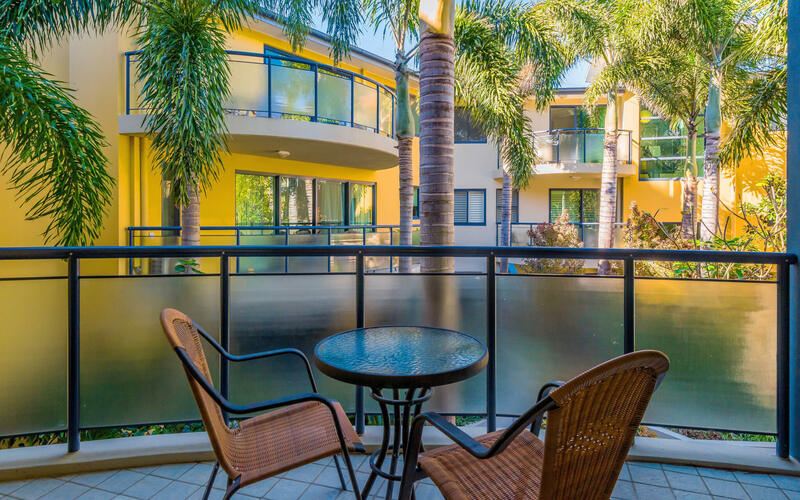 We have two styles of studio apartments available – Garden and Ocean View. The only difference is the view! 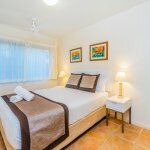 Click here to book direct and save Studio Garden View Apartments have a great view of the gardens. 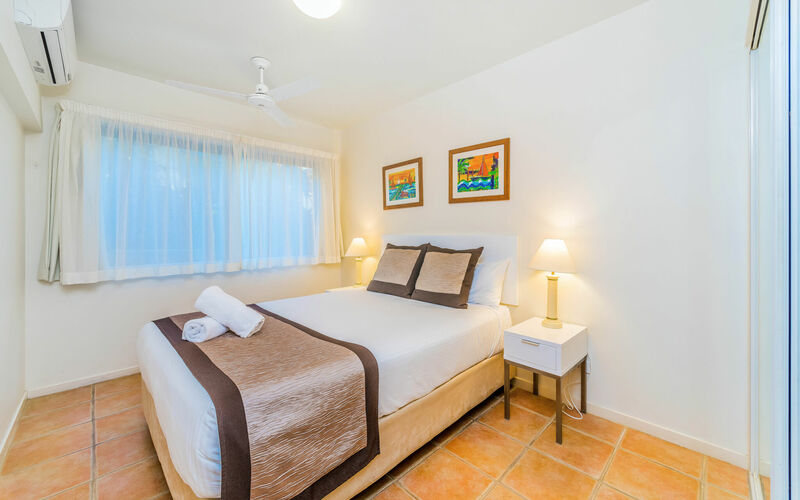 The Cove’s Studio Apartments have a mixture of king and queen sized beds, ensuites and balconies. Studios generally sleep two people but some studios have an extra single bed for a third person. 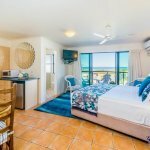 Click here to book direct and save Studio Ocean View Apartments have a balcony overlooking the ocean to the south. These studios offer queen beds, with ensuites and balconies. Studios sleep two people.